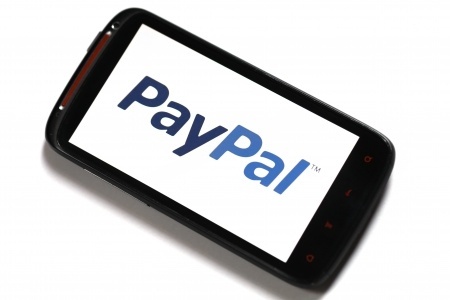 PayPal announced Friday that it was devoting $25 million to a program that offers interest-free cash advances of up to $500 to federal workers who have been impacted by the record long partial government shutdown. “No matter where you stand on the issues, the fact is that 800,000 of our fellow Americans suddenly find themselves without a paycheck,” PayPal CEO Dan Schulman wrote in a blog post. “We think that the private sector and the public sector need to come together to think about creative solutions, to be able to help,” he said in a video. Josh Criscoe, a PayPal spokesperson told deBanked that borrowers need only make the minimum monthly payment, generally equal to 3% of the outstanding balance. The APR is 0% until the cash advance is repaid. Crisco said that any government worker who has gone without pay due to the shutdown qualifies for a $250 cash advance, while most of the others who meet certain credit criteria, are eligible for the full $500. “We’ve seen strong interest since Friday and through the weekend,” said Criscoe. PayPal is using public records to confirm that applicants seeking the interest-free cash advances are, indeed, unpaid government workers. And they are asking for certain forms of verification as well. PayPal is not the only lending institution that is trying to help unpaid government workers. In California, nearly a dozen credit unions are providing financial assistance to their members affected by the shutdown. “The uncertainty as to when the shutdown will end has created stress and hardship for many credit union members who are now struggling to pay their bills and provide for their families,” said Elizabeth Dooley, President and CEO of the Educational Employees Credit Union, in a statement. Todd Stone is a reporter for deBanked. Send me a tip or ideas for a story at Todd@deBanked.com.